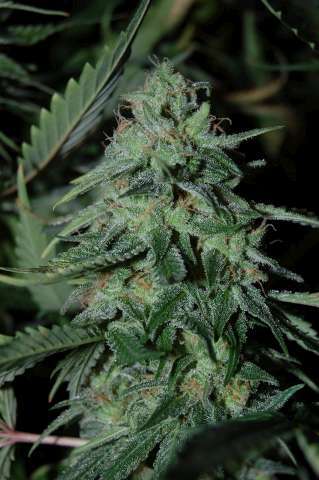 The Dready Cheese female cannabis seeds from the dready seedbank are a combination of the world famous Cheese crossed with a old school Original Skunk. These feminized marijuana seeds are top quality bred by Dready Bob, you can be assured that these female weed seeds or pot seeds are completely feminized seeds. It is a mainly Sativa variety but still has some Indica traits that can be seen in it’s shorter than usual height and its high that can soon turn into a heavy stony loss of time. The Dready Cheese, just like the original UK cheese has the unmistakable taste and aroma that turns heads and gets everyone excited. In small doses it will give you quite an uplifting high but as already stated, if you over-indulge, you will see hours fly by and memories will be lost. Trying to keep the taste and effect of the original UK Cheese that is well known around the world, we have carefully selected a male from a closely kept Skunk No.1 strain and have bred this back into the Original Cheese. Many generations down the line and Dready is ready to release it to the rest of the world. It yields well both indoor and outdoor but will start to turn purple and show signs of deficiency if the day and night time temperatures are not kept as constant as possible. It requires good support with netting to maximize yields as the branches are quite long but thin and will bend easily if not supported well. The buds form well and the calyxes explode at the end of flowering to give a really good looking end result. Further improvements are being made to this strain at present so look forward to an updated variety in the future. Click the button below to add the Dready Seeds Dready Cheese Feminized Cannabis Seeds | Pot Seeds to your wish list.